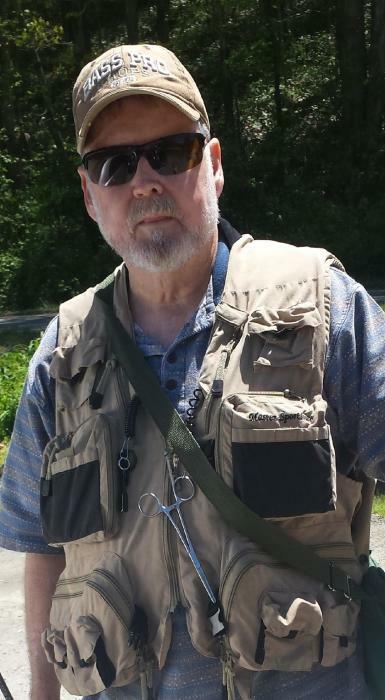 Herbert Pritchard Smith, 72, of Asheville passed away peacefully Tuesday, January 29, 2019 at the John F. Keever Jr., Solace Center in Asheville. Born December 27, 1946 in Asheville, he was the son of the late Pritchard Herbert Smith and Elise Brown Stephenson. He proudly served in the U.S. Air Force and retired from the City of Asheville. He attended Family of Faith Fellowship and was an avid fisherman and wood worker. Surviving is his spouse of 42 years, Shirley Hensley Smith; sons, Jason Smith of Asheville and Chad Owenby and his spouse, Sarah, of Mountain Home; siblings, Betty Pressley and her spouse, Rusty, of Candler and Mary Summey and her spouse, David, of Southport; and his devoted canine companion, Gizmo, which he loved dearly. A Celebration of Life will be announced at a later date.